If you’re considering woodworking as a relaxing hobby but you’ve never done it before, it may seem a bit intimidating. 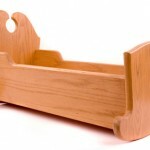 Woodworking for beginners can be overwhelming with the variety of tools and the number of project plans available. This article will cover 5 tips especially for beginners interested in getting started with woodworking. NOTE: The best way to get started with woodworking projects is to use good quality project plans, I can’t stress this enough, it can be the difference between a successful first project, and a “failure”. Start off small. Some people think they’re interested in woodworking but in reality; they’re just power tool junkies. You don’t need to go out and buy up a shop full of power tools to get started creating woodworking projects. In fact, many experts recommend that you don’t buy a load of tools until you determine that you actually enjoy woodworking. 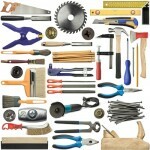 You can get started with just a small collection of hand tools. Start with a hammer and nails, a few screwdrivers and chisels, maybe a hack saw, a couple of clamps, a try square and a work table of some sort. When you get ready for power tools, a good place to start is with a jigsaw and a drill. 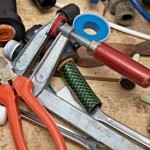 These are handy tools to have around the house for various “honey-do” projects, whether you ever do woodworking or not. The projects you’ll be able to do with them will be somewhat limited; you won’t be able to make a china cabinet, but they should be adequate to put together a few simple “woodworking for beginners” type projects. Buy cheap tools to start with. Don’t feel like you need the “best of the best” power tools in the beginning. The salesman may try to convince you to get the ones with lifetime guarantees, but the cheaper models will last a long time for a non-professional. If you wear it out until it no longer performs well, then you may want to consider replacing it with a more expensive model. Don’t buy a pre-built workbench. One of the best first projects is to make your own workbench. It’s something you need and will use, and it will give you a good indication about whether or not woodworking is something you will enjoy. Learn about safety, follow the recommendations and use good common sense. If it says use safety goggles, use them. Pay attention when you’re using power tools; many are capable of removing fingers or causing other serious injury. Always remember they are tools, not toys. There is a lot more to learn about the art of woodworking, especially for beginners, but like so many things in life, it’s a journey, not a destination. Even professional woodworkers learn something new from time to time. Take your time to learn the craft well, and you can enjoy creating beautiful pieces of furniture and other decorative items you can sell, give as gifts or keep for yourself as future family heirlooms.